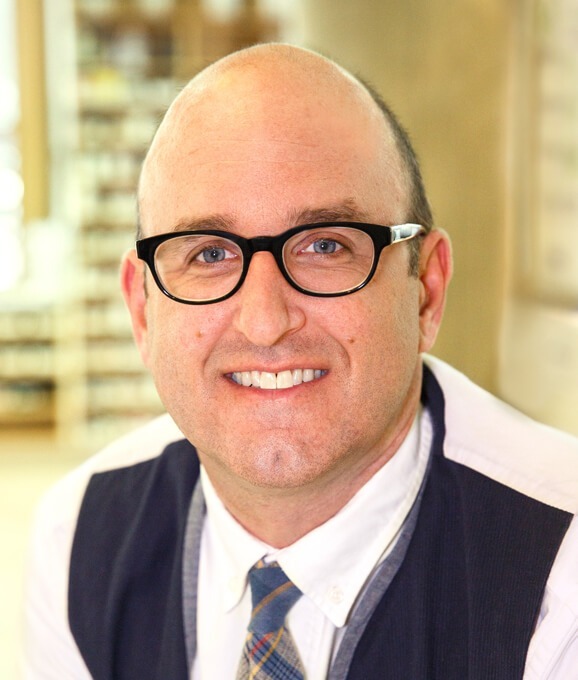 Peter Koshland, PharmD is a graduate of Georgetown University and the UCSF School of Pharmacy. He started out his pharmacy career working in independent community pharmacies, including Elephant Pharm, a Bay Area pharmacy that integrated Eastern and Western medicine. Here, Peter learned about the resurgence of modern compounding — the customization of prescription medications to meet individual patient needs. As Director of Pharmacy at Elephant Pharm, he grew the compounding service and introduced its benefits to numerous local doctors. In 2009, Peter opened Koshland Pharm: Custom Compounding Pharmacy in order to further the availability of customized medications to patients in the Bay Area and across the State of California. Since its opening, Koshland Pharm has achieved several distinctions under Peter’s leadership as CEO and head pharmacist. In 2010, it became the first compounding pharmacy in San Francisco to earn accreditation from the Compounding Pharmacy Accreditation Board (PCAB). In 2013 and 2014, Koshland Pharm was named as one of the 100 fastest growing Bay Area companies by the San Francisco Business Times. In addition to his current CEO role at Koshland Pharm, Peter is an Adjunct Clinical Professor of Pharmacy at UCSF, introducing pharmacy students to compounding. He also trains and consults with doctors across the state in the areas of hormone replacement, thyroid disorders and compounding applications for a variety of medical disciplines. In 2013, he received the Innovative Pharmacist of the Year award from the California Pharmacists Association, as well as the Outstanding Young Compounding Pharmacist of the Year from the Professional Compounding Centers of America. He is currently serving as the President of the California Pharmacists Association’s Academy of Compounding Pharmacists. Peter’s on-going mission is to support patients’ healing; to educate doctors about the applications of compounding in their respective fields; and to lead a team of healthcare professionals at Koshland Pharm dedicated to their patients’ well-being.